For those of you who just got a dog and are looking for training classes, or maybe if you’re trying to teach an old dog new tricks, the city of Sydney offers six weeks of free dog training classes to all of its residents. Having done the beginners class with Luigi, I thought I would share this with you since the classes were great. 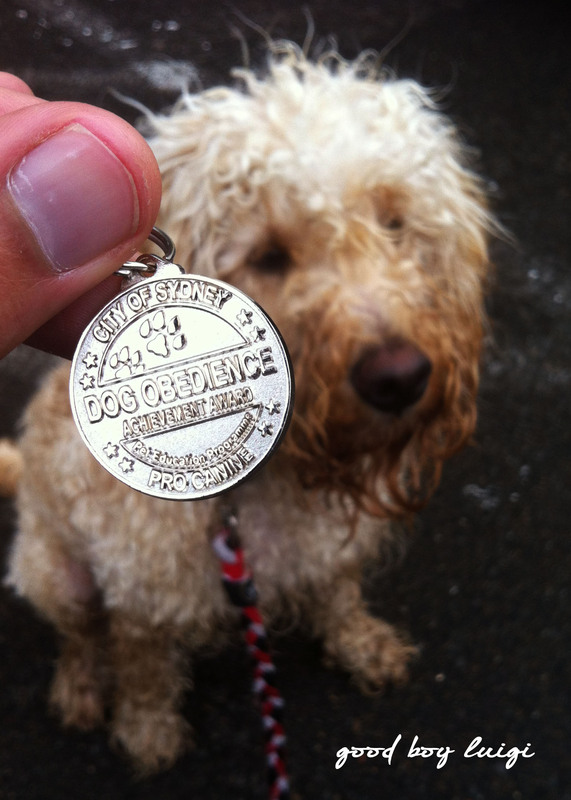 Your dog will even receive a metal at the end. CUTE ! There are two levels you can register your dog at, beginner and intermediate. Beginner classes are designed to help you teach sit, stay, heel (with increasing challenges and distractions that will test your dog’s willpower), and many more tricks that will help you become your dog’s pack leader. The teacher, Dianne, from Procanine is a great resource for you and will answer any questions you might have about your pup. Intermediate classes are more advanced, the specifics I’m not sure yet because Luigi hasn’t done them yet (but he will) – all I know is that it’s with long lead training. 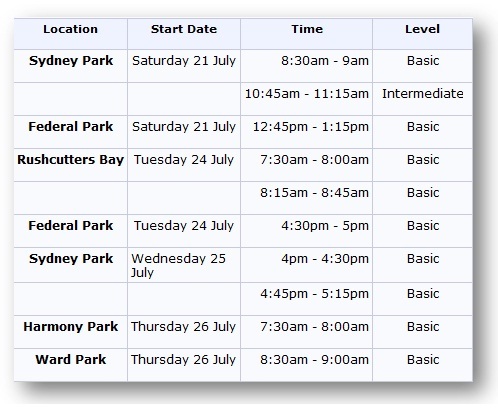 These classes happen throughout the week in different areas and times around Sydney, NSW (Sydney Park St Peters, Federal Park Annandale, Rushcutters Bay, Harmony Park Surry Hills near Darlinghurst, and Ward Park Surry Hills near Redfern). *If you still want to register your dog for the class at Sydney Park, you still can because it rained on Saturday 21st meaning the training class got pushed back 1 week. ps. Hope to see you soon at one of these classes and that you enjoy these free dog training classes as much as we did.